According to the press release, the SE Sport and Titaniums get the (regular) hybrid powertrain standard. The page is up at Ford.com now too! The new Escape looks very nice. Maybe the grin (grille) is a bit wide for my taste but overall, a nice job. I expect a lot more from the new Corsair now, especially after seeing this. Hope they offer the Head's-Up display on all Ford models. Well, we're waiting for the Corsair, but almost everything I've read about the Escape sounds promising. Length and rear legroom are spot on for what we'd like. The sliding rear seat being unavailable in the hybrids is a mixed bag for us, but it does make it a little easier to not wait for the PHEV. And if it's correct that the cooled seats won't be offered in the Escape, that eliminates having to choose between it and the Corsair. Less truck like to make way for the mini Bronco. Profile is more more sleek. Features and space are solid. I suspect that hybrid sales will really boost volumes. Ford has a winner here. I think it does a great job of bridging the gap between the old Escape and the outgoing Focus. This vehicle is going to have to attract former customers of both, and IMO is set up well to do so! Baby Bronco will just further add sales to those who don't want a soft girly truck. wingsnut and BrianAAA like this. I agree, as long as Ford doesn’t price this crazily...I believe the average sale price for the Focus was $19k. If the base model here is $24k then it’s a small jump. The grille of the regular Kuga trim levels will probably look similar to the ones on the new Escape. If/when Ford builds an Escape ST, it will probably have a Kuga ST-Line style front end. Overall, it looks much better than I expected. 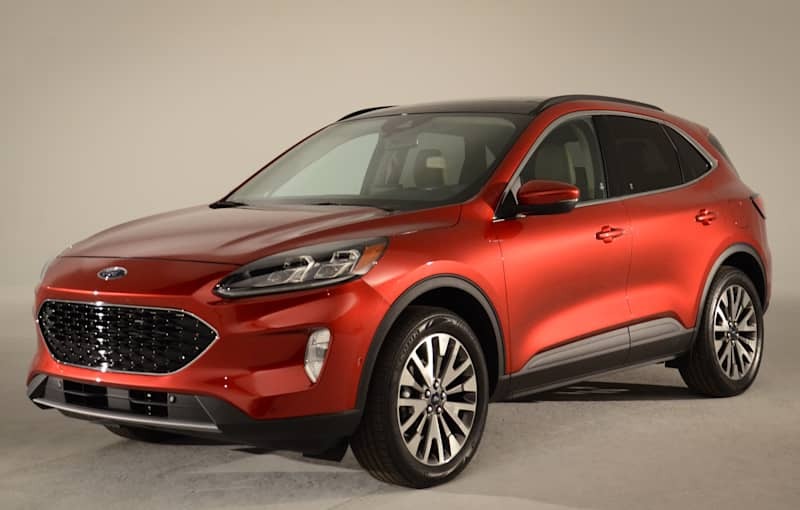 Those bigger diameter tires, larger wheel arches and sleek roofline hide the new Escape's bigger size. Last edited by AM222; 04-03-2019 at 06:27 AM.